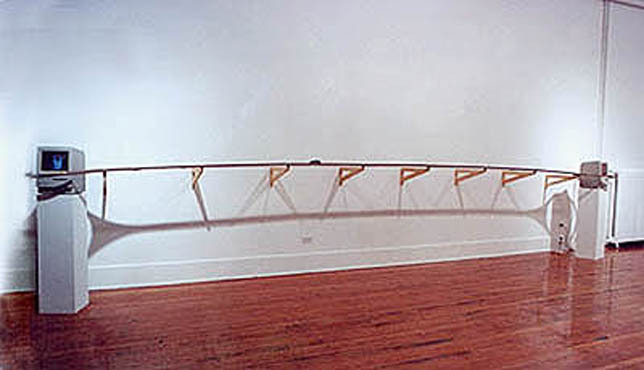 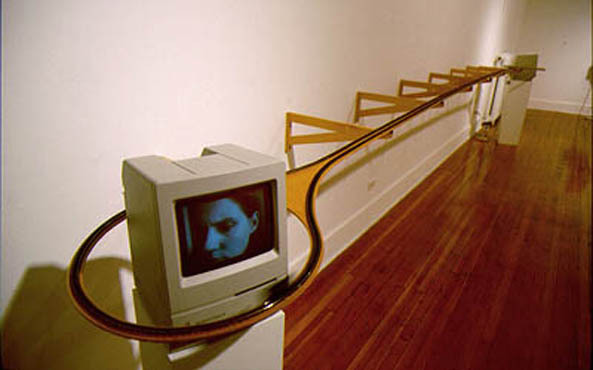 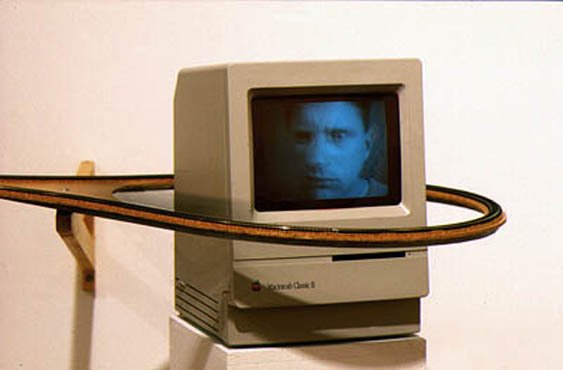 Macintosh computers lie at opposite ends of a suspended wooden structure. 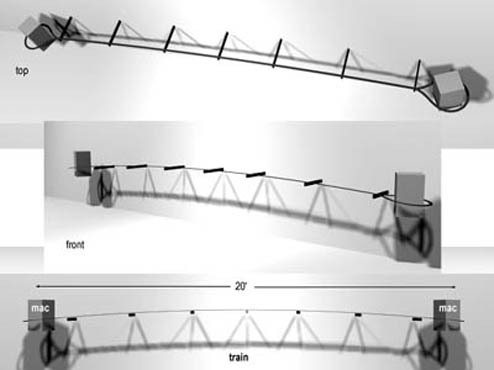 Mounted on the structure is an 'N' scale train track with electric train engine. 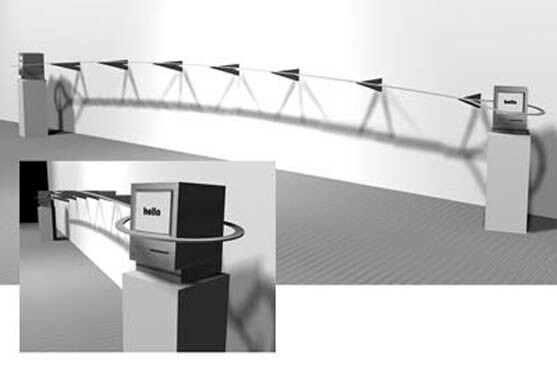 The train engine continuously circles around the track. 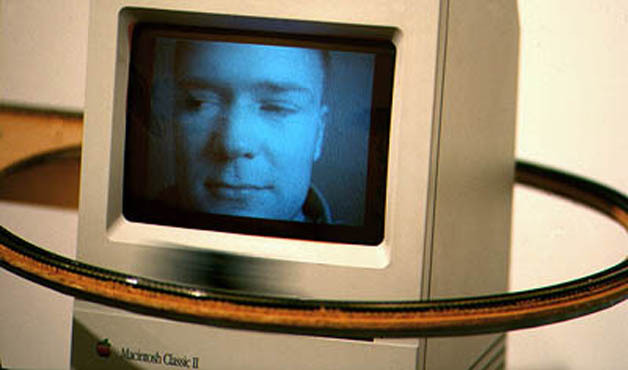 As the train passes each computer, a digitized character turns his or her head--as though they are watching the engine's movement.